Selected haiku by Jerry Kilbride, from a variety of sources. All the poet's books appear to be out of print. See a bibliography here. Listen to a two-minute segment in observance of his death, presented by National Public Radio (2005). 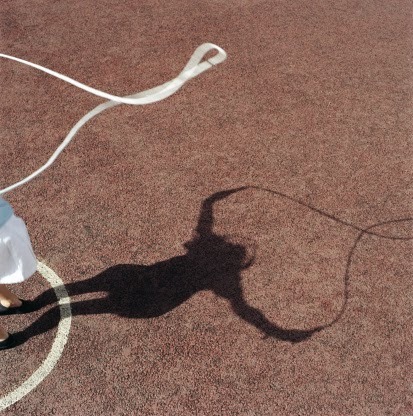 Art credit: "Girl (6-8) skipping outdoors, casting shadow on ground," photograph by Philip Lee Harvey.